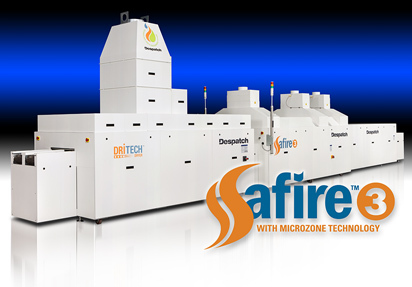 The Safire firing furnace with the DriTech dryer provides the ability to properly segment, control and adjust key process parameters in order to achieve maximum product yield, quality and consistency. The Safire design features dual, independent chambers with no lane-to-lane influences. This unique design ensures firing repeatability and capability for cell efficiency optimization in a high capacity platform. 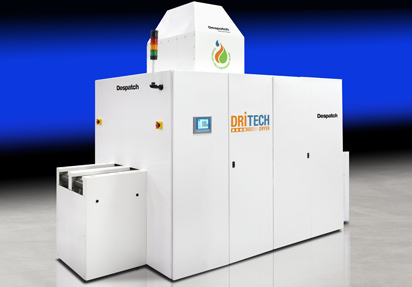 The DriTech™ Dryer for solar cell manufacturing is designed for a fast peak thermal profile that delivers lower wafer exit temperature and maximum VOC release at an early stage, resulting in maximum paste drying efficiency. 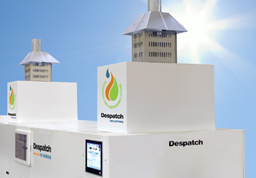 Despatch’s VOC Thermal Oxidizer was designed to eliminate 99% of Volatile Organic Compounds (VOCs) from gasses exhausted during the drying step of solar cell manufacturing. Despatch Industries partners with solar industry leaders to provide the process technology expertise for integrated solutions that makes solar power a viable and affordable energy option. Despatch equipment is consistently recognized for exceptional performance and process quality, optimal cell efficiency, maximum uptime and reduced operating costs. Since entering the global photovoltaic market, Despatch solar cell manufacturing equipment has made a substantial impact. 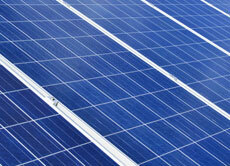 As in other industries, the Despatch photovoltaic brand is synonymous with quality and performance. Our products are consistently recognized for exceptional performance, process quality and maximum equipment up-time resulting in improved cost of ownership.The Despatch portfolio of solar cell manufacturing equipment improves and optimizes in-line solar cell manufacturing. As the industry continues to grow, we will continue to produce innovative equipment that offers our customers the next level of efficiency and production capacity. Our customers, the top solar manufacturers in the world, have recognized Despatch Industries as the best in class for short lead times, on-time delivery and world class service. Customers demand more from the market leader, and Despatch delivers with on-time equipment and an unmatched global service and support network committed to ensure that Despatch equipment is always operating at peak performance.